1st birthday party photos | the boy, Silas! I find it hard to believe that Silas is already 1 year old. Seems like just yesterday Brandy was telling me, "I'm pregnant!". Watching this kiddo grow up and being a witness to his awesome and hilarious personality is something I truly enjoy. 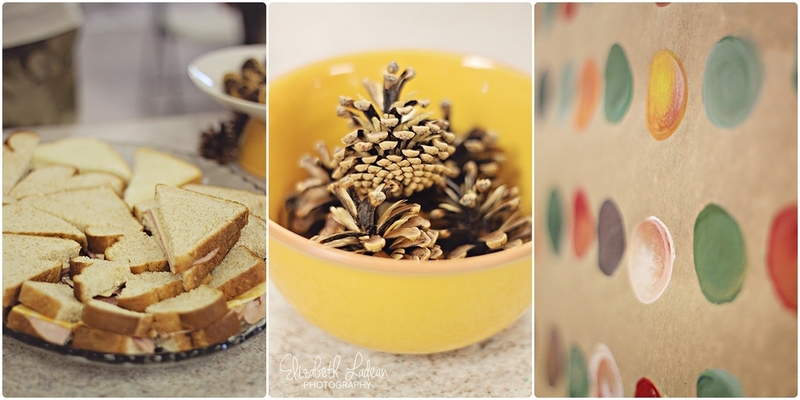 For this 1-year celebration, Brandy and Matt had lots of yummy homemade treats, a high-chair ready for half-naked baby with a cupcake, and cute decorations like little pine cones all neatly arranged with my favorite golden yellow color! Their families gathered together and celebrated with this special boy. Silas and his favorite yellow balloon were inseparable yet again, and he also devoured that delish cupcake!